Happy Friday lovely readers and followers! Welcome back to Day 4 of the 30 Day Blog Challenge. I try not to complain very much, so this mini rant should be very interesting. (Please note, I don’t mean to offend anyone here. I’m just having a little fun). I really don’t understand how these people can be serious. How sad is a life without knowledge of the Force or faking a Yoda voice? Why do restaurants and sub shops feel the need to put pickles on the plate when it doesn’t specify it in the menu? As a person who detests pickles, it drives me nuts when I get a sandwich or sub and find the pickle just chilling there–staring at me with spite. The server may think I’m crazy for sending it back, but all that pickle juice RUINS my food. 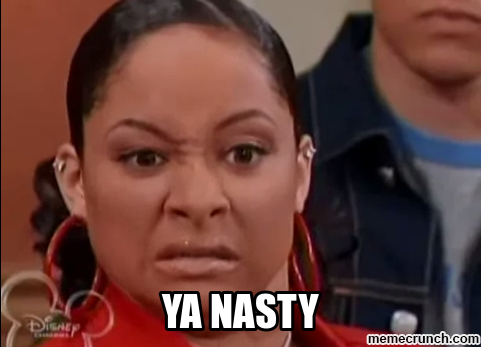 I’m pretty sure everyone can agree that walking into an unsightly public restroom stall is just plain…gross. All I have to say is, why though? Why? It got to the point where my friend would play this song just to annoy me. This is probably my least favorite Christmas song, but for some reason, everyone else in America loves it. I just can’t stand her voice. Sorry Mariah. For some reason, this really freaks me out. I don’t think it’s gross–it just makes me terribly anxious when I can hear loud chewing sounds. Okay, rant over! I hope you all found that as hilarious as I did. LOL! This definitely had good humour in it. But no kidding, number 5 gets me! And yeah number 3 is plain nasty. Lol I had so much fun with this! I’m so glad you liked it.